Following the extraordinary success of her novel Veronica, Mary Gaitskill returns with a luminous new collection of stories--her first in more than ten years. In “College Town l980,” young people adrift in Ann Arbor debate the meaning of personal strength at the start of the Reagan era; in the urban fairy tale “Mirrorball,” a young man steals a girl’s soul during a one-night stand; in “The Little Boy,” a woman haunted by the death of her former husband is finally able to grieve through a mysterious encounter with a needy child; and in “The Arms and Legs of the Lake,” the fallout of the Iraq war becomes disturbingly real for the disparate passengers on a train going up the Hudson--three veterans, a liberal editor, a soldier’s uncle, and honeymooners on their way to Niagara Falls. Each story delivers the powerful, original language, and the dramatic engagement of the intelligent mind with the craving body--or of the intelligent body with the craving mind--that is characteristic of Gaitskill’s fiction. 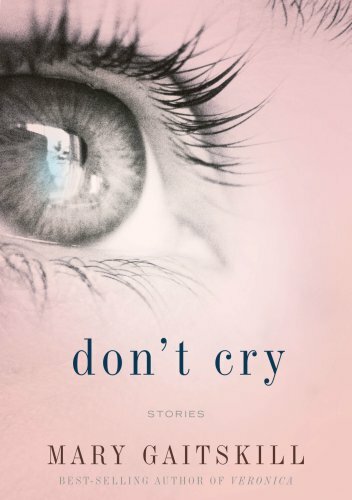 As intense as Bad Behavior, her first collection of stories, Don’t Cry reflects the profound enrichment of life experience. 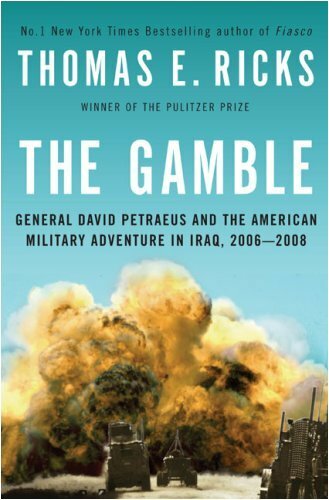 As the stories unfold against the backdrop of American life over the last thirty years, they describe how our social conscience has evolved while basic human truths--“the crude cinder blocks of male and female down in the basement, holding up the house,” as one character puts it--remain unchanged. Three years ago, not long after I'd begun Lowboy, I made a decision that--in retrospect--even I find slightly odd: to write as much of the novel as possible on the New York City subway. The reasons for this admittedly drastic step ranged from the practical (subway cars have no internet access, no cell phone reception, and next to no procrastination options) to the wildly romantic, if not outright ridiculous. Like some over-eager method actor, a part of me was convinced that I'd write about the subway more vividly and honestly if I immersed myself in it absolutely. Fully half of Lowboy's narrative takes place underground, much of it in the subway tunnels, so getting the look, smell, and feel of subterranean New York right was crucial to the book's success. It also happened to be cheaper than renting an office. The challenges of my new workplace weren't the ones that I'd expected. I was amazed at how effectively I was able to tune out the commotion around me, simply by putting on headphones: a good playlist on my laptop was essential, but beyond that, as long as I avoided rush hour, staying focused presented no great problem. The seats in the older cars made my back hurt after a few hours, certain stretches of track in the outer boroughs were so rough that it was hard to type properly, and restrooms were few and far between, but I adjusted to those things in time. The more comfortable I got, however, the more my frustration grew, for the simple reason that the subway was starting to feel like my living room. I was becoming resistant to its strangeness: I was seeing it with the eyes of a commuter. Nothing could have been farther from the point of view of my protagonist, a sixteen-year-old schizophrenic boy, newly escaped from the hospital, to whom even the most familiar things feel alien. The harder I looked, the less I seemed to see. I'm not sure what triggered the change that came a few weeks later, but I know that it came suddenly. I was riding the Coney Island-bound F in the early morning, staring blankly out the window at the tunnel racing past; I remember feeling bored and vaguely hungry. When I turned around, though, I seemed to be in a different car completely. For the first time, every feature of the interior had a clear purpose to me: the seats stopped short of the floor for ease of cleaning, the orange and brown tones were meant to encourage well-being, and the polka-dot pattern on the walls, which I'd never looked at closely, was in fact made up of the official seal of the state of New York, repeated countless times in brown and grey. The discovery made me a little paranoid--on the lookout, suddenly, for more signs of Big Brother's presence--which was just the state of mind I'd been pursuing. From then on, the novel all but wrote itself. 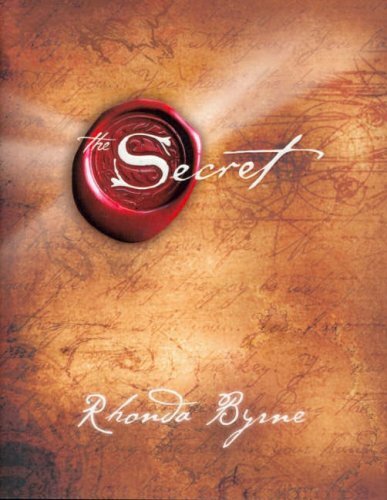 Lose weight with confidence and keep it off for a lifetime! Resist tempting food - even if it's right in front of you! Confidently say, "No, thank you" to food pushers! Put an end to emotional eating! Conquer every excuse you've ever used to overeat, binge, or backslide! Any sensible diet will help you lose weight, but the challenge for 90% of Americans is actually staying on the diet they choose. 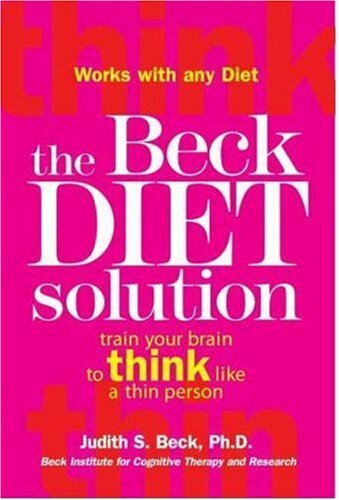 Enter Dr. Judith Beck and The Beck Diet Solution. Dr. Beck, one of the foremost authorities in the field of Cognitive Therapy, has created a six-week plan that will help people stick with their diet, lose weight with confidence, and keep weight off for a lifetime. This program is not only based on the author's personal success and on her success with her many clients, but also on published research. It all starts with how you think. With other programs, you think about nothing but food: counting, weighing, and worst of all, food you can't have. This way of thinking inevitably contributes to diet failure. The Beck Diet Solution is the only program that helps dieters use Cognitive Therapy methods--scientifically proven over 20 years--to forever change those treacherous thought patterns that lead to overeating, cheating, excuses, and other dieting downfalls. This breakthrough six-week plan assures success by helping you assess the advantages of weight loss, pick a sensible diet and exercise program, set a goal, line up support, and prepare your environment--all this before starting any diet. This unique approach is key to preventing the downfalls that so often lead to failure. A new task is presented each day to build psychological skills to deal with the challenges of hunger and craving, overeating, alcohol, eating out, special occasions, vacations, stress, and much more. Healthy habits are established with to-do lists, reasons and ways to do the tasks, and how to deal with negative thoughts. One day a week is designated to "Take a Breather." Easy-to-use, flexible, and proven tools are found throughout the program, including daily goals; weekly planner pages; and motivational coping cards for handling time/energy hurdles, eating out, and other high-risk situations. Facebook is the wildly popular, free social networking site that combines the best of blogs, online forums, photo sharing, clever applications, and interaction among friends. The one thing it doesn't have is a user's guide to help you truly take advantage of it. Until now. 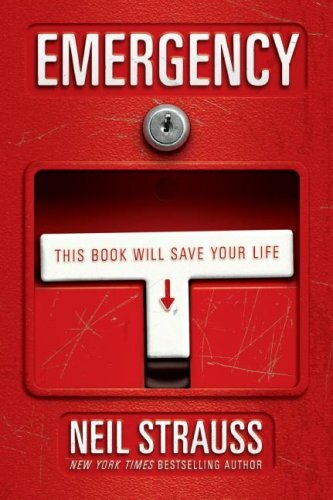 Facebook: The Missing Manual gives you a crystal clear and entertaining look at everything this fascinating Facebook phenomenon has to offer. Teeming with high-quality color graphics, each page in this Missing Manual is uniquely designed to help you with specific Facebook tasks, such as signing up, networking, shopping, joining groups, finding or filling a job, and a whole lot more. You'll discover how to create your page and make connections with other members in no time everybody who went to your school, for example, or those who work at your company or play on your soccer team. Then, bingo! Instant access to the personal and professional details of all the folks you're connected with, the people they're connected with, and so on, and so on. With Facebook: The Missing Manual, you learn to: Join a network, whether it's where you went to school, work-related, or based on other interests Look up old friends, find new ones, and decide who you'd like to keep track of Contact members by virtually poking them, or leaving notes on their message boards Get automatic updates from Facebook friends and send updates of your own Participate in groups of particular interest and meet up with members face-to-face Buy and sell using Facebook's marketplace and classified ads Find a job or hire employees by combing through the member pool Use Facebook as a collaboration tool to keep team members, co-workers, clients, and projects upto date Play it safe by using a multi-pronged approach to ensuring your privacy Think of Facebook as a 30-million-plus-entry searchable Rolodex on steroids! With help from this guide, you'll quickly get into the Facebook experience without getting in over your head. 2. When you register for the site, use your actual birthday so that your friends will get an automatic heads-up a few days before the Big Day (all the better to fete you with). 3. Never add compromising photos or info to your Facebook profile; bosses, teachers, hiring managers, and others can use legitimate means to see your profile *even if* you think you've adjusted your privacy settings to prevent them. 4. If you're on Facebook to find a gig (or a date), be sure to sprinkle keywords liberally in your profile descriptions. Doing so ups the odds of your appearing in other members' searches. 5. Before you fill out your profile, first head to the main menu and click the "privacy" link (little-p) and follow the steps in Chapter 12 of the book to customize who gets to see how much of your personal information. What follows is the Privacy Statement for all bookstore4all.blogspot.com websites (a.k.a. blogs) including all the websites run under the bookstore4all.blogspot.com domain. bookstore4all.blogspot.com is the sole owner of any information collected on our websites. bookstore4all.blogspot.com websites contain comment sections (a.k.a. message boards). We do not actively monitor these comments and the information on them is for entertainment purposes only. If we are alerted to something we deem inappropriate in any way, we may delete it at our discretion. We use email validation on most of our message boards in order to reduce “comment spam.” These email addresses will not be shared with any third party. We will make every effort to preserve user privacy but bookstore4all.blogspot.com may need to disclose information when required by law. If bookstore4all.blogspot.com is acquired by or merges with another firm, the assets of our websites, including personal information, will likely be transferred to the new firm.